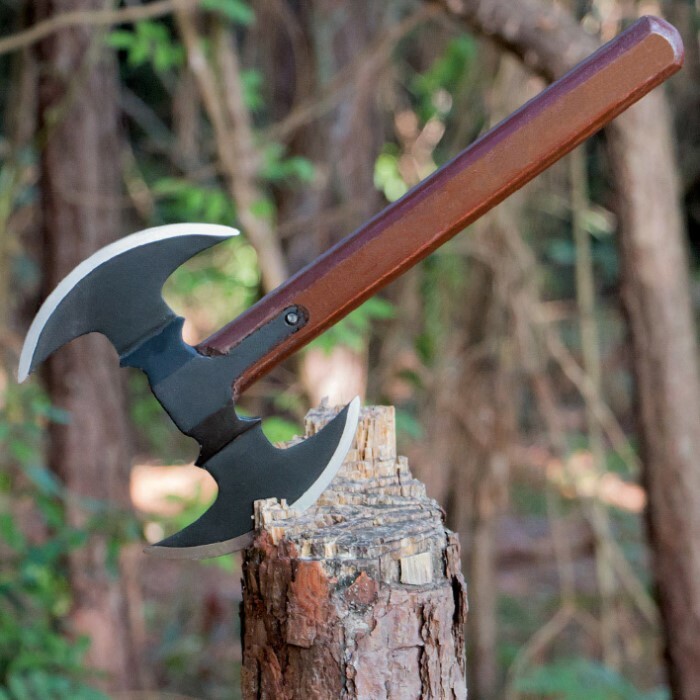 This double-blade throwing axe has some serious fantasy flair to it! The stainless steel had features two blades and a smooth hardwood handle. 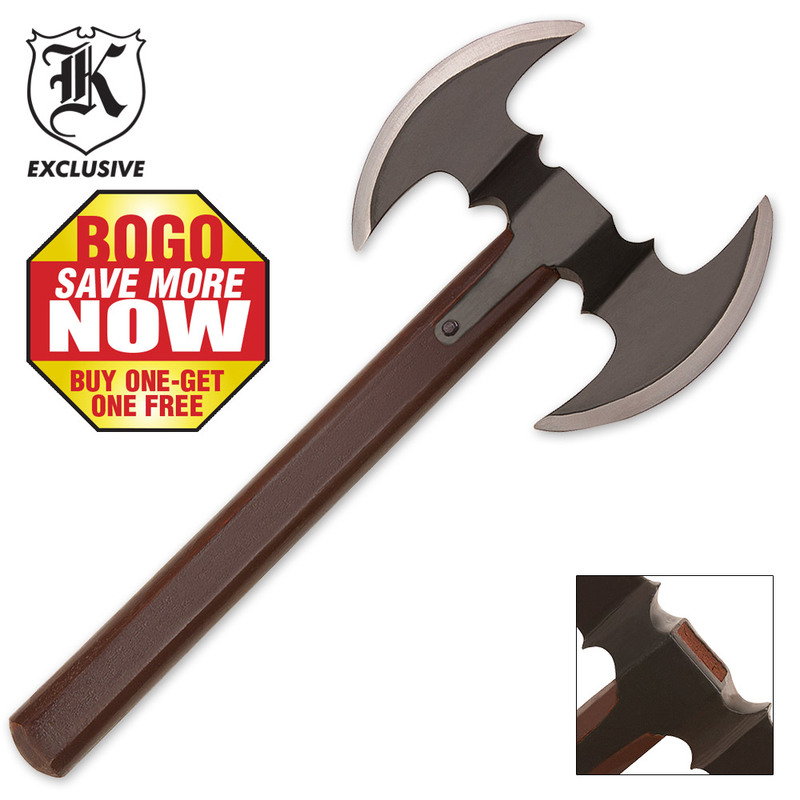 It's great for use as a throwing axe or for display in your fantasy blade collection. The blades are 5.25 in. each and it measures 16 in. overall. For the $ 9.99 that I paid for two of these I'm pretty impressed. After about half an hour of throwing the head snapped off...... it was a blast while it worked though. The price is right for this cool looking fantasy piece. I did test it out and you have about a dozen good throws before a blade may fall off. Still balanced enough to fly and stick. Stylish one time home defense piece. Stick a few on the wall.